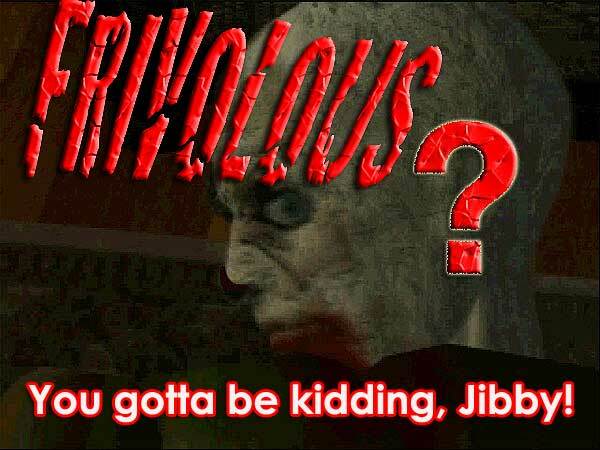 MAGICK RIVER: FRIVOLOUS? You gotta be kidding, Jibby! Who is frivolous: PI Bala or PM Najib? This curt reply to crassly cut reporters off from asking further questions sounds to me more like a reflex in panic, rather than a responsible answer from the prime minister of a supposedly democratic country. For it was a totally inappropriate reply to Bala’s serious accusation, made in circumstances that commanded respect and credibility. What can be more serious than accusing Najib’s wife Rosmah Mansor and his brother Nazim of having used the “carrot and stick” maneuver to force Bala to retract his first affidavit which implicated Najib in the murder scandal? And what can be more respectable than having his revelations made in an interview conducted and witnessed by three senior lawyers of the country? Bala alleged that Rosmah’s close associate, Deepak Jaikishan, offered him RM5 million; and Nazim Razak threatened to harm his family unless he followed Deepak’s instructions. This happened on the day he disclosed his first affidavit on 4th July 2008. Fearing for the safety of his family, Bala retracted under coercion the allegations linking Najib to Altantuya in a second affidavit the next day, and disappeared immediately with his family - until his recent interview which was captured on video and recorded in transcripts. These were first published in Malaysia Today and later relayed by other websites including Malaysiakini and YouTube. In the interview, Bala described how he was forced into retraction, and how he and his family embarked on their fugitive journey to India under the overall direction of Deepak. That journey was a rather convoluted and lengthy voyage that saw them passing through or staying for various durations in Singapore, Bangkok, Kathmandu, Delhi, Madras, and eventually Chennai. Bala exuded confidence with his detailed description of occurrences supported by factual details that pinpoint the relevant players, locations, times, dates, durations, hotels, monetary figures, cheques, bank accounts, etc. Against these formidable allegations, all we have from the alleged culprits is deafening silence, despite the news being circulated in the Internet for more than two weeks. Until, of course, when Najib dismissed these as “frivolous” and not worthy of his response, during a press conference after an UMNO supreme council meeting on December 4th. This effectively means that Bala has cooked up a pack of damned lies, according to Najib. So, one of them must have lied. Was it Bala, or was it Najib? 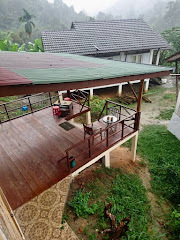 A cursory glance at the facts and circumstances surrounding the latest controversy would enable one to readily conclude that Bala has the upper hand, for the simple reason that Bala’s accusation is buttressed by precise facts and details that can be easily debunked if false, while Najib and his group have chosen to remain silent in spite of the serious nature of the accusation. If Bala’s statement is false - and with the immense power and resources at the disposal of the Prime Minister - there is no possible reason for Najib not to have instantly ordered an investigation, and bring Bala to face the consequences for having so openly and repeatedly defamed the Prime Minister and his family. 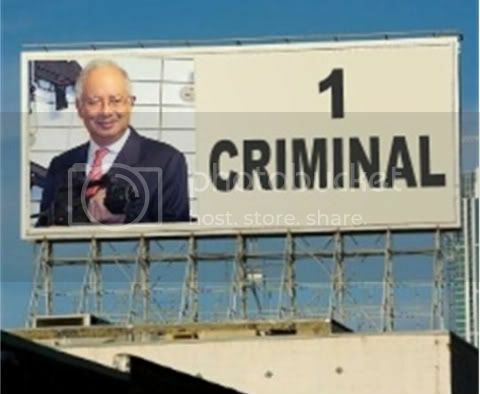 If Najib could have Raja Petra Kamarudin - webmaster of Malaysia Today - charged with criminal defamation for the publication of an article in his website that said Rosmah was present at the crime scene, why can’t he do the same with Bala? In fact, Bala’s case is even more serious, as he has signed two contradictory affidavits – a clear offence of false declaration – besides accusing the Prime Minister and his family of involvement in murder. And why should the Prime Minister, his family, and the various law-enforcement agencies be so kind and forgiving to Bala as to leave him untouched, while the nation suffers the humiliation of its Prime Minister being openly defamed and ridiculed? Viewing the case from another angle – Bala’s perspective, it appears even more compelling that Bala was not likely to have lied. Why should a family man like Bala falsely accuse the Prime Minister of involvement in the most heinous of crimes, knowing its serious consequences as an ex-police officer? What possible gain could he get, keeping in mind that he couldn’t have extorted any money, since the allegation is untrue? 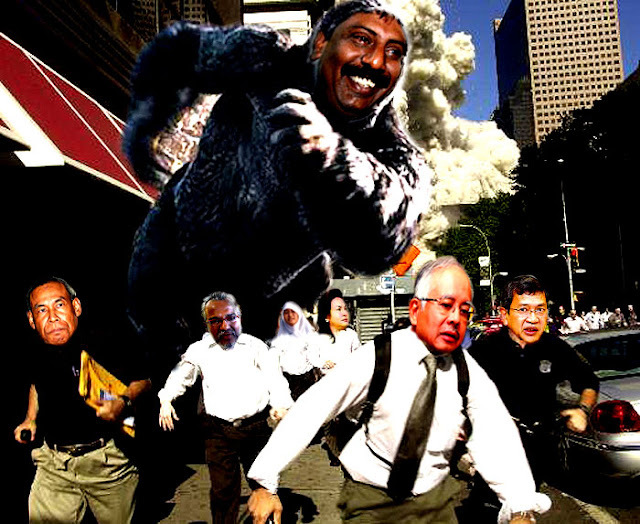 Even if it is true that Bala had falsely accused Najib, that he had repented and retracted his allegations in a second affidavit, and run away to another country to escape retribution, there is no conceivable reason for him to make a come-back to invent another pack of lies, thereby exposing himself for the second time to the risk of serious punishment. 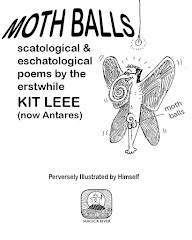 Unless, of course, he is a lunatic, which is clearly not the case. 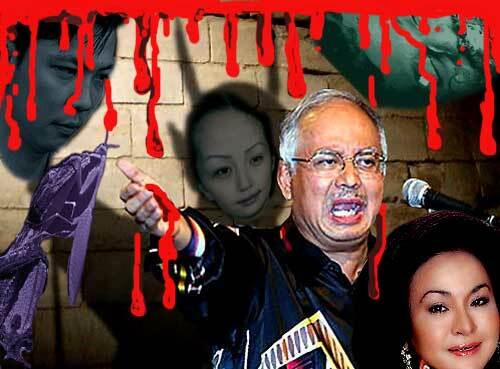 Evidence of justice being aborted to protect Najib is found in the numerous irregularities that have occurred before and during the trial of the Altantuya murder. Why was Najib not investigated since the first two accused, who were his bodyguards and took orders from him, had no apparent motive on their own to commit the murder, and the third accused was his confidant? Why were the judge, prosecutors and even a defence lawyer abruptly replaced without credible reasons shortly before the trial? Why was the motive for murder never raised during the trial? Why did prosecutors and defence lawyer join forces to prevent critical evidence being pursued in court such as a certain photograph showing Altantuya and Najib taking meals together and the mysterious erasure of immigration entry records of Altantuya and her Mongolian companions? Why was Bala’s affidavit barred from the court without credible reasons? Since the third accused, who was charged for instigating the murder, was released without his defence being called, then who had ordered the killing? It is clear that unless these troubling questions are dealt with satisfactorily, there is no way Najib can clear himself of suspicions that have surrounded him, least of all by waving away inquisitive questions by a curt reply like what he did in the said press conference. In fact, such conduct only betrays his weaknesses. 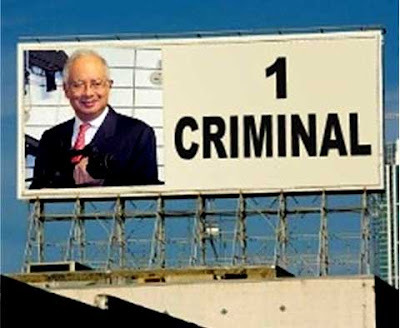 For it is plain commonsense that if Najib is on the side of truth, he would have welcomed reporters to ask questions – instead of crudely shutting them up – so that he has a chance to exonerate himself. And he would also have taken action against Bala ages ago, instead of inaction for so long – perhaps with the hope of the scandal fizzling out in due course? 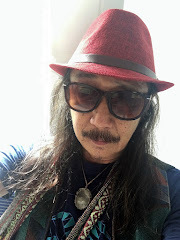 The latest Bala revelations have constituted a solemn challenge to the integrity and legitimacy of Najib’s premiership, for which he must now solemnly account to the nation. And the only way to do that without dishonoring his oath of office is to commission a truly independent panel to uncover the truth and account to the nation. If Najib is a responsible Prime Minister, he should have felt duty bound under his oath of allegiance to the country to clear his name through a proper inquiry by an independent and reputable panel, now that the perception of his involvement has been so entrenched and pervasive - nationally as well as internationally. Goodness gracious me and the world ! How can a small lost kid be the PM of a modern country ! What has become of us Malaysians ! wah!! some more got "2" eyes one ahhh. The moment a minor minister's reputation is remotely (and credibly) questioned, he resigns. This is what happens in the real world. The fact that a PRIME MINISTER can make such a statement in public - and to the press no less - AND get away with it is more telling of the decay of the People than his guilt. This makes Malaysia a joke of a country. A real joke, nonetheless. Joe: M'sia HAS been an international joke ever since mad-hatter wanted his kampung lads to be kampung heroes. 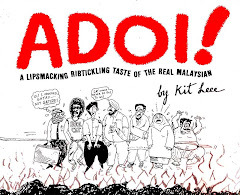 The kampung hero phenomenon had made us the laughing stock of the world community. Jibby is just another icing on top of the rotten cake. Isn't it obvious that he's guilty as hell. I realise that that is what Malaysia has always been.